We started One House as a high quality furniture store in 2015. Inspired by our Dutch roots, we initially offered a curated selection of contemporary Dutch and Scandinavian furniture brands at affordable prices. As more and more customers started inquiring about custom sofa solutions and fabric styles, we went to the drawing board and conceptualised the initial drafts of our first sofa collection. Nearly two years later we had finally reached an agreement with our desired manufacturing partners in Germany. A true family business with 30+ years of industry expertise, they were able to take our designs and turn them into hand crafted masterpieces. Our German furniture experts share our "Feel Good At Home" vision and use a very straight-forward approach to producing the perfect sofa. They combine the hand crafted elements -that make every One House furniture special- with the most progressive machinery and technology available. 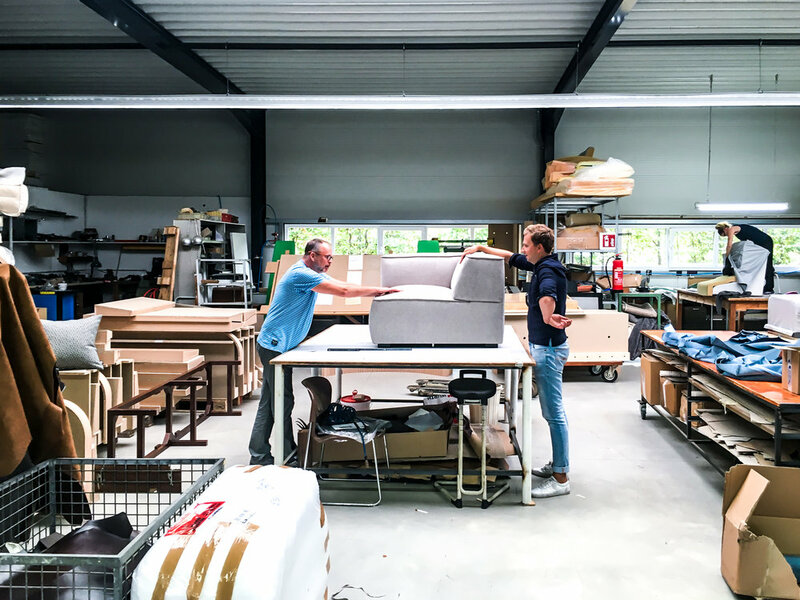 Our sofa production starts with our Munich-based design team who uses the latest digital software to prototype ideas and engineer them for efficient manufacturing. Once our designs move onto the factory floor, we incorporate lean production methods to reduce waste, save energy, and minimise our carbon footprint. Of course, there is no machine that will ever replace the skills that a person has learned and passed down over generations. But today, with the addition of modern machinery and digitalisation, we are continuously aiming for best practices in production. We are ensuring that our design pieces not only maintain quality throughout the entire product lifecycle, but work in harmony with the environment.